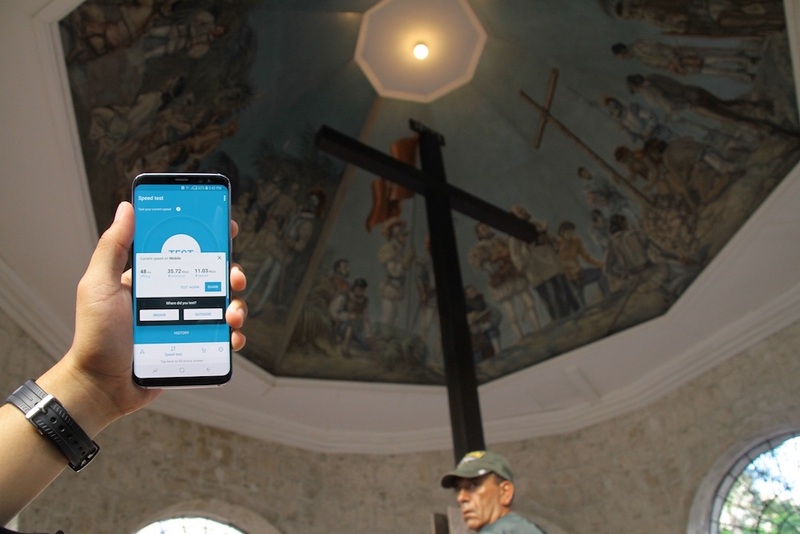 Speeds of more than 30 Mbps were posted using Sun LTE inside the tourist-popular Magellan’s Cross. Sun subscribers in Cebu can look forward to improved mobile connectivity as leading telecom and digital service provider PLDT expands Long Term Evolution (LTE) support for its Sun brand across the Visayas’ foremost urban hub. To date, more than 80% of cell sites across Cebu now have LTE. In addition to network upgrades in Metro Cebu, LTE is also available in the rest of Cebu province, including key tourism areas like Oslob, Moalboal, Daanbantayan, Medellin, Toledo City, Bogo City and Carmen, allowing tourists and residents alike to share photos and videos of their experiences using Sun LTE. “Strong connectivity will enable our customers in Cebu to better share to the world their passion for Cebuano food, culture and history, as well as showcase the best of Cebuano hospitality and tourism,” said Smart vice president for Prepaid Marketing Carlo Endaya. “Sun’s newly upgraded network all over Cebu allows its customers to instantly share their stories, as they go about their day,” he added. These network upgrades are part of PLDT’s thrust to provide world-class internet service to Filipinos in Cebu and in other parts of the country. Internal tests showed speeds ranging from 10Mbps to 50Mbps have been reached using a Sun LTE SIM and an LTE smartphone in key areas around Cebu. “With Sun LTE, our customers in Cebu can enjoy better mobile experience, which they can use to stay connected with their family through video calls and photo sharing, discover new things on YouTube, or access important online services,” Tamayo added. He added that in areas where improved LTE networks have been put in place, small business owners and retailers have also reported an increase in earnings, boosted by improved mobile internet connectivity in their area. To best take advantage of the newly upgraded LTE networks in Cebu, Sun subscribers are encouraged to upgrade their current 3G SIM to an LTE SIM and to avail themselves of Sun’s new data promos, such as the Sulit Surf Plus 20, which offers 300 MB of open access data with unlimited tri-net calls and unlimited all-net texts valid for 2 days, and Sulit Surf Plus 249, which includes 2GB of open access data with unlimited tri-net calls, 60 minutes free calls to other networks and unlimited all-net texts valid for 30 days. Discounted Sun LTE phones will also be available soon. 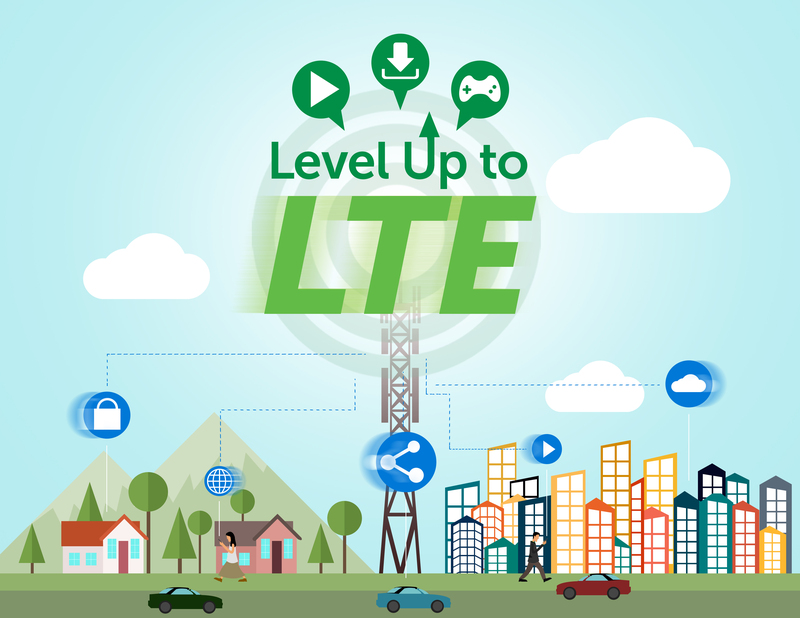 As of end-June, Smart has equipped over 3,900 base stations across the country with LTE, not only to expand LTE coverage but also to lay the ground for LTE-A, which can provide even greater capacity and speeds to users with LTE-compatible smartphones. This puts the total count of LTE base stations at over 12,600. Underpinning PLDT’s integrated fixed and mobile network roll-out was the expansion of PLDT’s fiber optic transmission and distribution network. PLDT’s 204,000-kilometer fiber network, the most extensive in the country, also supports its mobile network by providing high-capacity fiber connections for LTE base stations. On the other hand, PLDT achieved a Speed ScoreTM of 17.31, with average download speeds of 22.84 Mbps and average upload speeds of 23.45 Mbps. The fixed network award is based on 29,076,090 user-initiated Speedtest nationwide for the same period. 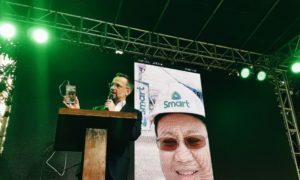 Smart is on track to fulfilling its commitment to the National Telecommunications Commission to cover 90% of the country’s cities and municipalities with 3G/LTE coverage by the end of this year.